The Capricorn is the ideal industrialist or merchant, letting no humanitarian concerns interfere with important business or money-making opportunities. 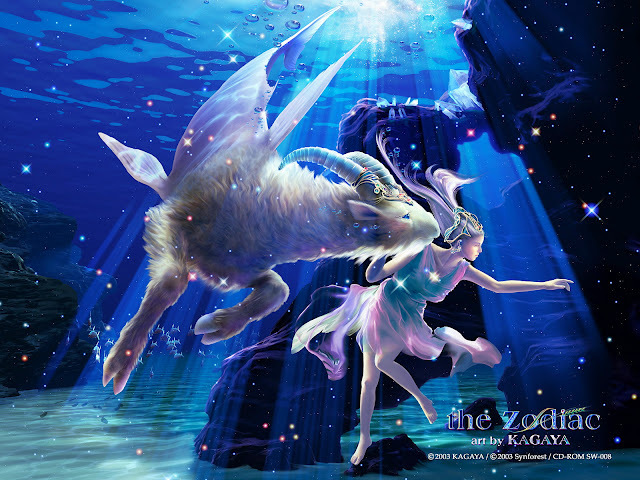 Capricorns harbor powerful emotions that as Earth signs they find difficult to express. This sign can be very unimaginative, serious, and cautious when drawn into the world of materialism. Capricorns’ greatest traits are their ability to heal and have great visions. Their greatest downfall is being manipulative and deceitful. Moon in Capricorn: This is the best time to do magick for organization, ambition. recognition, career and political matters. Healing rituals for the knees, bones teeth, and skin are also done at this time.